Bake Pie crust as instructed on package or recipe then set aside for further use. sugar, brown rice flour, arrowroot starch, guar gum, sea salt and vanilla to a medium size saucepan. Turn on medium high heat and whisk occasionally, until it comes to a boil. Bring to a simmer, whisk constantly and cook for 3 minutes. Whisking quickly add the egg yolks, and continue to whisk constantly for 3-5 minutes, over medium heat, until desired thickness. Pour into baked pie shell and set aside. To make the meringue: In a small bowl add coconut sugar and apple cider vinegar and toss lightly together. Set aside. In a separate small bowl, use a hand maxier to whisk egg whites into a very soft peak, where translucent foam is created. While the whisk is still going, add coconut sugar/apple cider vinegar mixture to the egg whites and whisk for 1 minute. Then, add baking powder and whisk into a hard peak. Spread meringue over butterscotch filling in any design you would like. *Some people like dollops, so like it spread even, others like the wave look. 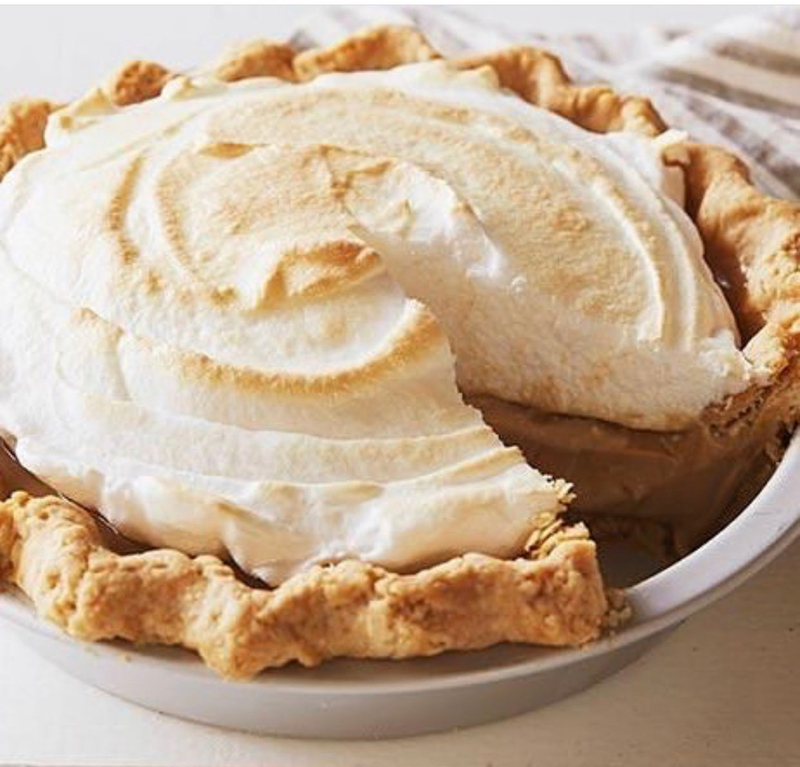 Place in the preheated oven, and bake for 10-12 minutes, until the meringue is golden brown. Let cool completely before serving. Store leftovers in an airtight container in the refrigerator for best results.